Delft: Home is Where the Best Stamppot is. The word ‘home’ has always been an interesting concept for me. As someone who has lived in two homes with my parents and three homes on my own and three -soon to be four- homes with my now-husband, then-boyfriend; the whole meaning of ‘home’ gets rather complicated. As I’m getting ready to move and try the whole ‘living in two different houses in two different countries’ plan (hello commuting), I can’t help but wonder: What makes a house, a home? Ever changing; sometimes it is your possessions. To give an example, like that vase you put fresh flowers every week, the photo frames you hand picked one by one or -if you enjoy your hot drinks as much as me regardless of what day, time or season it is-, your beloved mugs. Wherever you go as long as you have your possessions, it suddenly becomes home. Sometimes, it is who you are with. Either it is your family, your significant other or even your pet; wherever they are, everywhere feels like home. It can be your two cats -like my Misa and Taco, your dog by your side or even your fish tank, it doesn’t matter. And sometimes it is the city itself. It’s very much like that familiar, warm feeling slowly oozing in your chest whenever you wander the streets. It is saying ‘Hi!’ to the café owner every time you pass by, or stopping at the same flower shop every week for some fresh tulips. You know the whole city is your home. When I think of all the different cities I’ve been and all the houses that I’ve lived in, I realize they have all had a different way of becoming my home. Some are definitely more missed than the others. All these thoughts bring me to my next destination: Delft. A relatively small city right between Rotterdam and Den Haag, is where I’ll be for the next upcoming years. As I think more about it, it becomes more and more clear that this city already feels unique. 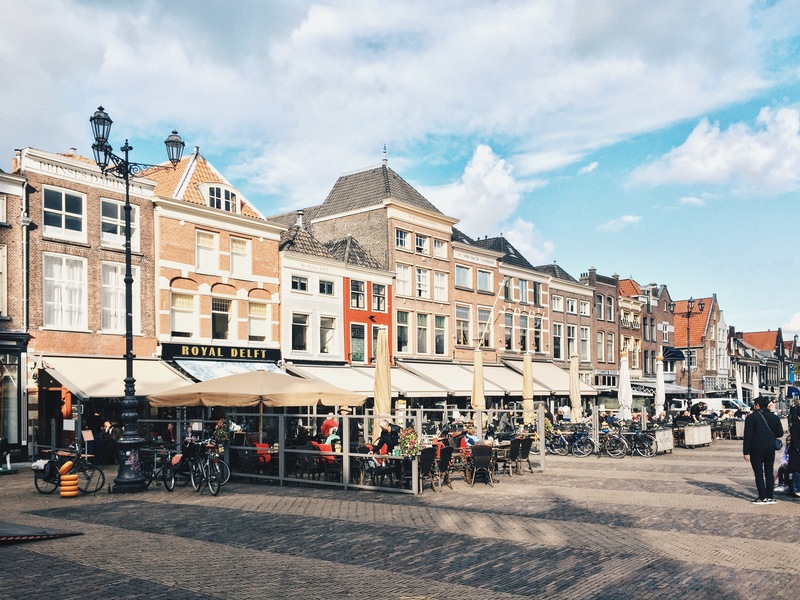 I have certainly traveled to the Netherlands before but it wasn’t until I met my husband that I had the chance to visit Delft. As soon as you step outside of the train station and walk into the old town, this city somehow captures you. Historical, cozy, small and vibrant. Just visiting De Markt is enough to make me feel content. Even doing nothing much but visiting the little cafés scattered in this town is very well enough to fill up my whole day. That’s why when we’ve decided to get married, it wasn’t so hard to pick the perfect location. We wanted to get married in Delft. Preferably, in the Stadhuis, right at the glorious Markt. And 6 months after that day, we were already making plans for me to start my new study at a new university, in a new house that we have just bought, only minutes away from the cityhall that we’ve gotten married at. Now, I have to admit that was truly something that we would have never thought of only a year before. Me, joining my husband in a new country this year in March, I am already about the pack my bags once more for a new chapter that awaits us in the horizon. To make things more interesting -or challenging, if you will- instead of one, I will very soon have two houses to call home. Would I like to have more time to adjust or o simply do everything without have to hurry? Of course! 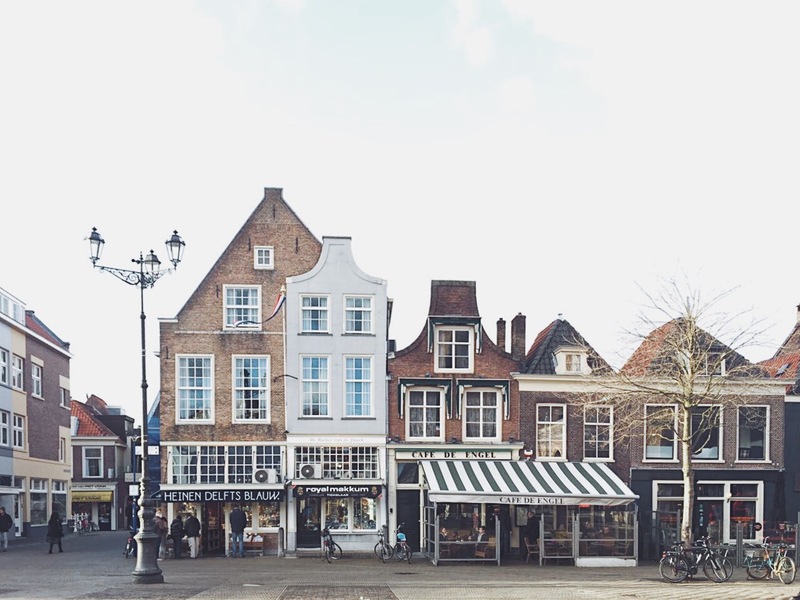 Picking furniture online and trying to squeeze everything to the limited time we had whenever we visit is no easy task, but with the streets of Delft that I so adore in my heart and our new beginning ahead of us, somehow I am not so worried. After all, home is where the best stamppot is. A little note to all non-Dutchies out there like myself; stamppot is a traditional Dutch dish made from a combination of potatoes mashed with one or several vegetables. These veggie pairings are usually include sauerkraut, endive, kale, carrots and onions. It is best enjoyed during the cold, grey winter months. Certainly more often while feeling homesick. If you would like to see more photos of Delft, come and find me on Instagram @crn.spymn !